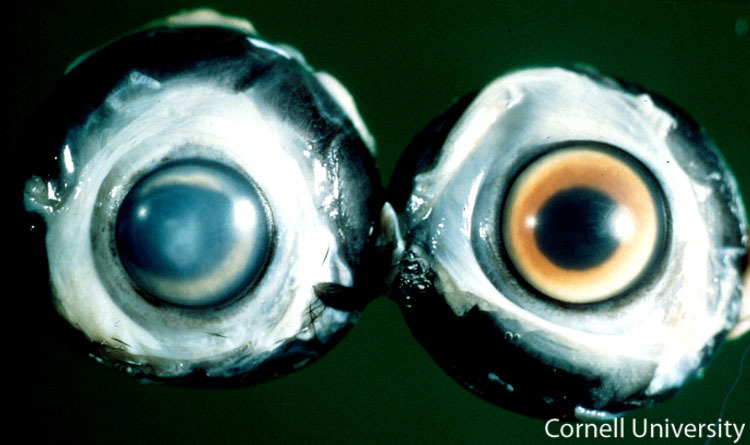 Cataract formation in the affected eye on the left, taken from a chicken that survived an earlier infection with avian encephalomyelitis virus. These are the eyes from two birds. The eye on the right is a normal. The lens within the left eye is completely opaque and pale blue. The opacity is most pronounced in the center of the lens.